The trained program will start in October and will be finished in November 2015 (when Magento 2 badges will appear in partner directory). The Magento 2 trained solution partner program was specifically designed by Magento to demonstrate readiness to take on Magento 2 merchant projects. 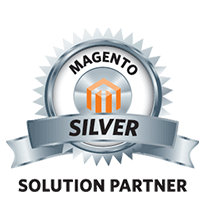 The program is aimed only for official Magento partners with Silver and Gold statuses. Once Magento confirms that the partner has passed the exercises and completed the theming courses, the partner will satisfy the Magento 2 trained requirements. The partner will be able to download the Magento 2 trained badge and will be eligible for the full set of Magento 2 trained benefits after certification. Favorite Quote: "Give them quality. That's the best kind of advertising." - Milton Hershey.